IRISH animated movie 'Song of the Sea' is among the nominees for the 2015 Oscars. The movie was nominated in the 'Best Animated Feature Film' category. Meanwhile despite being tipped to land her first Oscar nomination, Jennifer Aniston wasn't nominated. 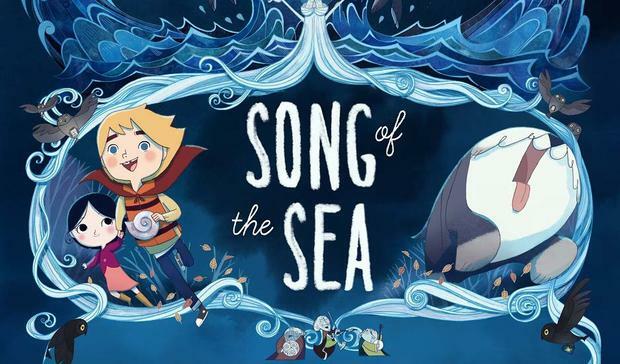 'Song of the Sea' is about two children, Ben and Saoirse, who live in a lighthouse by the sea with their father, Conor, who remains distraught over the loss of his wife several years earlier. It is based on the ancient Celtic myth of the selkie. Birdman and The Grand Budapest Hotel lead the 2015 Academy Award nominations. Directors Alfonso Cuarón and J.J. Abrams announced the first series of categories, mostly focusing on the technical groupings. Actor Chris Pine and Academy Awards president Cheryl Boone Isaacs then moved on to the bigger categories. Many of the same movies received multiple nominations in the main categories, with Birdman and The Grand Budapest Hotel leading the way with nine mentions apiece. The most hotly-contested will be the best picture prize, which sees many of the films which had been anticipated to do well nominated. Vying for the prestigious golden statue are American Sniper, Birdman, Boyhood, The Grand Budapest Hotel, The Imitation Game, Selma, The Theory of Everything and Whiplash. Several of those were also named in the best director category. Alejandro G. Iñárritu received a nomination for Birdman and will battle it out against Richard Linklater for Boyhood, Bennett Miller's Foxcatcher, Wes Anderson for The Grand Budapest Hotel and Morten Tyldum's The Imitation Game for the gong. There was little surprise in the best actor category, with many of those in the running for SAGs and BAFTAs mentioned. Eddie Redmayne picked up the best drama actor Golden Globe for his performance in The Theory of Everything on Sunday, and is in the running for the Oscar too. He is pitted against Steve Carell for Foxcatcher, Bradley Cooper in American Sniper, Benedict Cumberbatch for The Imitation Game and Michael Keaton for Birdman. The best actress group offered more in the way of shocks, with Jennifer Aniston missing out on a nomination for her role in Cake, despite previously being one of the favourites. Reese Witherspoon scored her second nomination with her role in Wild, with Felicity Jones up for the gong for The Theory of Everything. Rounding out the category are Marion Cotillard for Two Days, One Night, Golden Globe-winner Julianne More for Still Alice and Rosamund Pike for Gone Girl. The best supporting actor prize will go to either Robert Duvall for The Judge, Ethan Hawke for Boyhood, Edward Norton in Birdman, Mark Ruffalo for Foxcatcher or J.K. Simmons for Whiplash. Battling it out for the women's version are Patricia Arquette for Boyhood, Laura Dern for Wild, Keira Knightley in The Imitation Game, Emma Stone in Birdman and Meryl Streep for Into the Woods. This marks Meryl's 19th Oscar nomination. Among the nominations announced by Alfonso and J.J. was the best animated movie, which drew whoops and cheers from the audience. Those in the running against Song of the Sea are Big Hero 6, The Boxtrolls, How to Train Your Dragon 2, and The Tale of Princess Kaguya. The 87th Academy Awards will be on held on February 22 at the Dolby Theatre in Hollywood, with Neil Patrick Harris hosting proceedings.